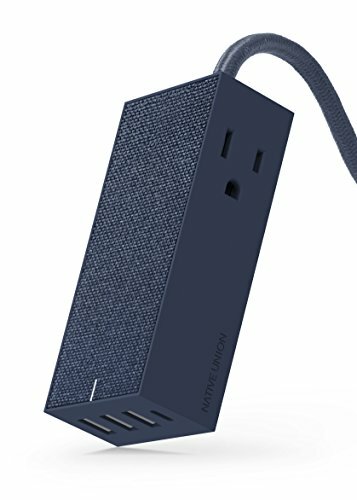 Always keep a power source close at hand with SMART HUB BRIDGE, our six foot power extension with four USB ports and two AC outlets. 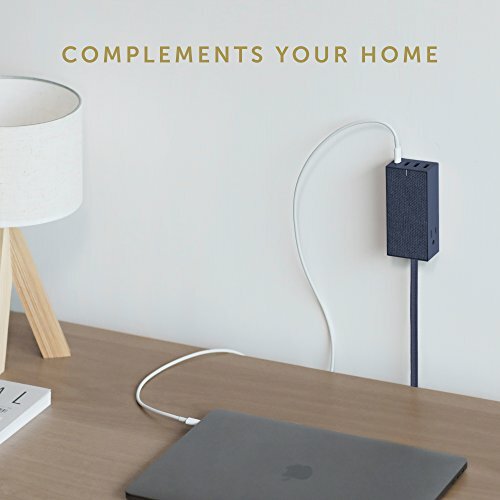 Using Smart IC technology, SMART HUB BRIDGE lets you charge four mobile devices simultaneously, safely and at high speed, as well as providing two additional power sources for your wall-powered devices. 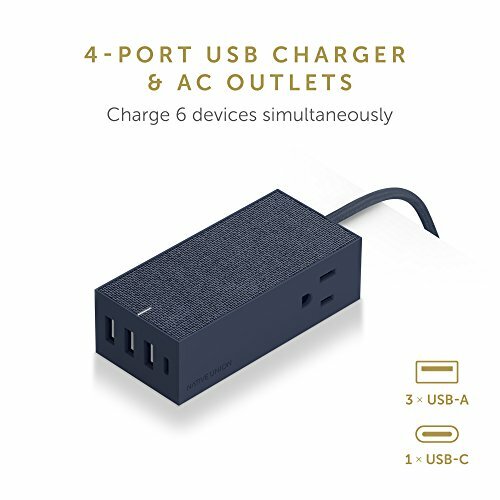 SMART HUB BRIDGE's four USB ports (including one USB-C) charge up to four devices at once, including Apple mobile devices, Android devices, smartphones, tablets and Type-C devices. It also conveniently provides two additional AC outlets to plug in and charge larger devices like your laptop. All from a single wall socket. 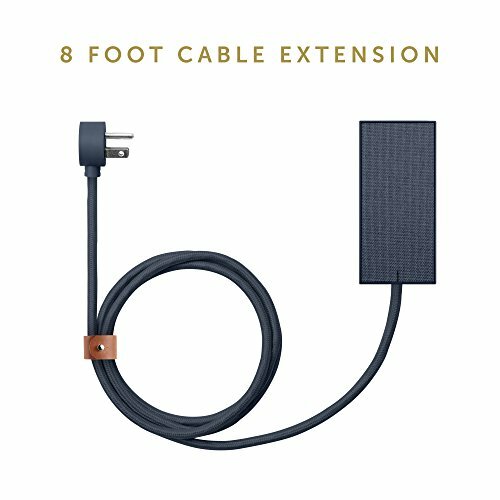 SMART HUB BRIDGE's eight foot power extension lets you charge anywhere. The integrated leather strap keeps your mains power cable neat and tangle-free. 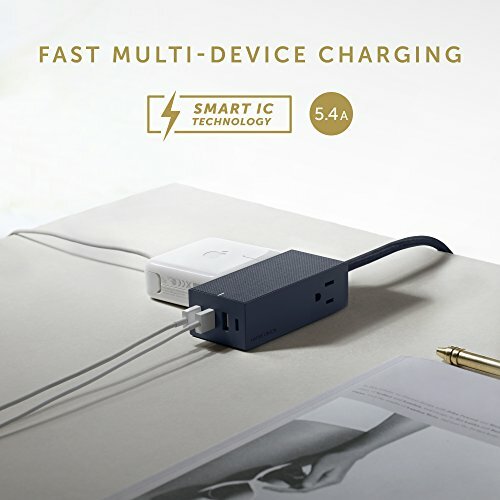 Using Smart IC technology, SMART HUB BRIDGE's USB ports auto-detect your mobile device's input so it's always charging at maximum speed (Total 27W, 5V-5.4A max, up to 5V-3A per port). SMART HUB BRIDGE's stylish design and fabric finish provides multi-device charging that fits seamlessly into your interiors. 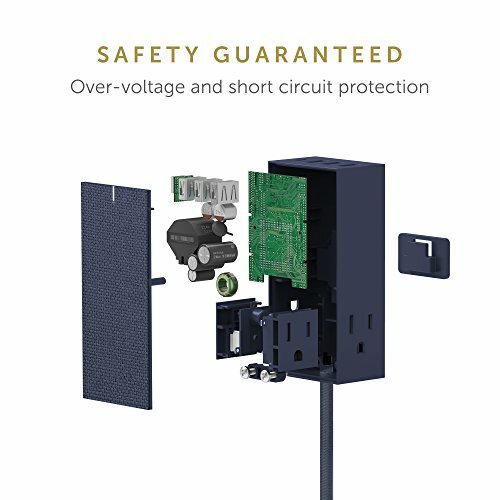 SMART HUB BRIDGE's sophisticated circuit design with over-current protection (OCP), over-voltage protection (OVP), and short circuit protection (SCP) ensures protection for you and your device. Quality is our biggest priority. Rest assured that with every Native Union purchase you'll receive a one-year manufacturer's warranty. If you have any questions about this product by Native Union, contact us by completing and submitting the form below. If you are looking for a specif part number, please include it with your message.